The Public Accounts Committee (PAC) criticized the Department for International Development (Dfid) for failing to take seriously calls from charities and NGOs on the ground, such as Doctors Without Borders, which warned of the outbreak’s severity early on. “Had the department acted sooner, both lives and money would have been saved,” the committee said. “The revocation of licenses to carriers to fly direct to the region was a political decision with no basis in science and was inconsistent with World Health Organization (WHO) advice,” the committee stated. 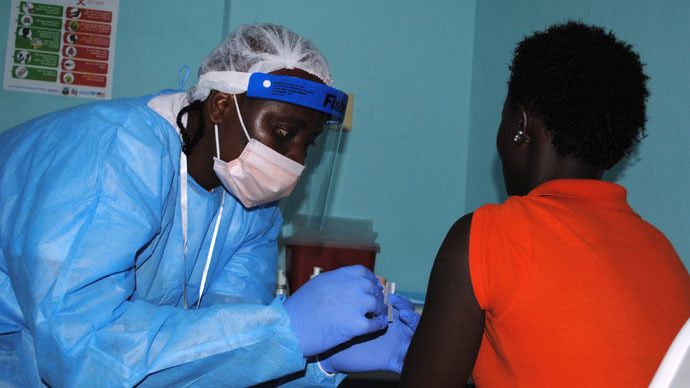 The Ebola outbreak, which started around March last year and mainly affected Sierra Leone, Guinea and Liberia, has resulted in 9,150 deaths and more than 22,000 cases as of February 7. The committee did however praise the “bravery” of British volunteers and members of the armed forces working in Sierra Leone. International Development Secretary Justine Greening said, “Britain's decision to shoulder responsibility for tackling the Ebola outbreak in Sierra Leone has saved lives, not cost lives. “The UK cannot disease-proof every developing country in the world from potential unprecedented outbreaks, but we can offer our full support when they strike, as we did in Sierra Leone before any other country and at considerable risk to British lives. “Everyone agrees that the World Health Organization should have reacted faster, and the global system must reform to improve collective detection and reaction,” she said.